On the night of August 28, 1944, the American Liberty ship SS John Barry silently glided through the waves on its way to Saudi Arabia loaded with a secret cargo of silver. Unfortunately for the Barry and her crew, the Nazi U-boat U-859 detected the ship and successfully torpedoed her, sending her to the bottom of the Arabian Sea along with millions of silver riyal coins (shown above). Rumors quickly arose that the ship had not only been loaded with 3,000,000 silver riyals for ARAMCO, but also with tons of silver bullion destined for the USSR via India. Due to the ship’s depth (8,500 feet) the wreck was left undisturbed until a consortium of Americans assembled a hodgepodge of recovery components primarily scavenged from the oil and gas industry. 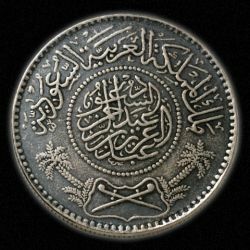 After winning a bid to recover the wreck from the US government, the consortium, dubbed “The John Barry Group” successfully located the Barry in 1994 and used a grap to bring up 1,300,000 (17 tons) of silver riyals before they ceased operations. Although no sign of the Soviet silver shipment was found, some experts still believe there is a high likelihood the Soviet silver is aboard the vessel and was not located due to the primitive technology employed by The John Barry Group. Stalin’s Silver , by John Beasant, presents a well-written account of both the recovery and the rationale for why more silver may be located aboard the Barry. 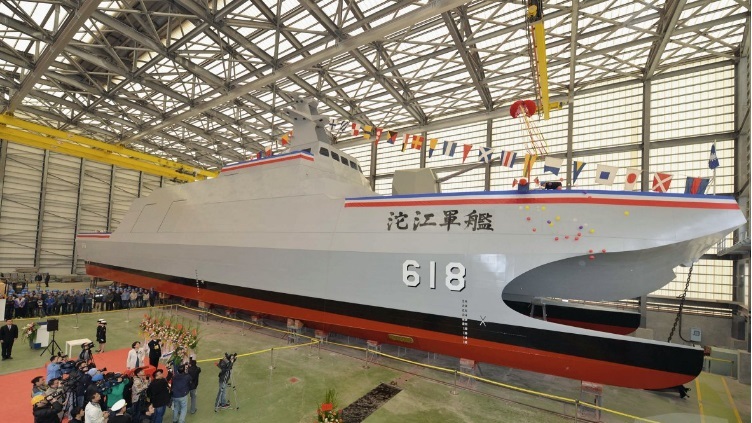 Sadly, due to bureaucratic intransigence, the US government has not re-opened the vessel to a recovery bid process and, until then, neither will the mystery be solved nor the American taxpayer enriched by the recovery fees paid to the US government by a successful salvor. The events surrounding the capture of the USS Pueblo, a US Navy spy ship, rank among the most ignominious in the storied history of the United States Navy. 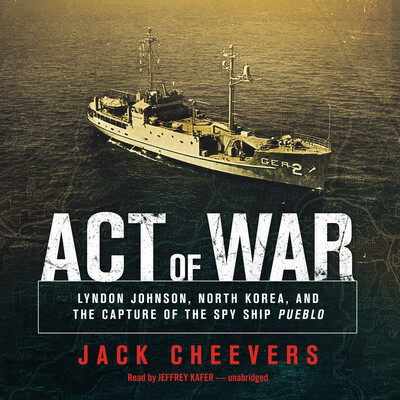 Jack Cheevers’ book Act of War brings to life the capture of the Pueblo, the torture and humiliation of her crew at the hands of the North Korean government and the efforts to secure their return to the United States. Relying on period documents, interviews with crew members and government records, Cheevers reconstructs for readers not just the “exciting” parts of the capture and torture, but also the bureaucratic decision making that led to the capture of the Pueblo. Cheevers devotes special attention to the captain of the Pueblo Commander Lloyd Bucher, his background, the agonizing decisions he had to make while under fire and his subsequent pariah status within the US Navy. One of the strongest aspects of the book is how the reader is presented with the facts of the capture of the Pueblo and allowed to decide on his or her own where the blame should lie for the capture of the Pueblo and whether more should have been done to prevent her capture. While not a light beach read, Act of War is an enlightening tome worthy of one’s time, especially given the continued saber rattling by an increasingly unhinged North Korean regime. In Ships of Oak, Guns of Iron , Dr. Ronald D. Utt has produced a magnificent 500 page tome that provides readers with a well-researched and highly readable account of the War of 1812 at sea. As Utt masterfully argues, the United States Navy truly came into its own during the War of 1812, a conflict that is undergoing a renaissance in the pop history circle as the bicentennial of the war began in 2012. Although the US Navy fought several notable battles during the American Revolution, including John Paul Jones’ famous duel with HMS Serapis, these were primarily performed with foreign crews and former merchant vessels adapted for naval service. The War of 1812 was the first time that the fledgling US Navy faced a first world power in a declared war and its spectacular results allowed the Navy to create epic lore and traditions in only three years. Utt skillfully guides the reader from the opening salvos of the war through the US Navy’s early single-ship victories over the vaunted Royal Navy to the two squadron level clashes on the Great Lakes, privateer derring-do against the British merchant marine, and the later and lesser known naval actions of the war. Readers will be unable to put down the book at certain points, especially when reading the chapters concerning privateering and some of the lesser known single-ship voyages against British merchant and warships. The heroic and honorable actions of officers and sailors from both sides will keep readers captivated with tales of a breed of gentlemen warriors whose time has long since passed. Among the many strengths of Utt’s work is his organization of the book into chapters that take the reader from events at sea to land and then back to sea. In most cases, Utt keeps his narration of the land war to only a few pages in order to give readers an idea of how the sea war affected the land war and vice versa. At times the land war descriptions can grow a bit tedious as Utt jumps between the numerous Indian tribes, Americans, Brits, and Canadians who intermingled in the land conflict. For readers concerned more with the war at sea, the land warfare chapters are sometimes roadbumps in the greater storyline. This minor weakness, though, does not overshadow the overall excellence of Utt’s book. Another strength is Utt’s strong documentation and endnotes – he has clearly worked to craft a book that is both historically accurate and accessible to the everyday reader. Overall, in Ships of Oak, Guns of Iron, Utt has created a fantastic piece that opens the naval battles of the War of 1812 to a wider audience. During the last three decades of the 19th century, various Western nations carved up not just Africa, and the Near and Far East, but also various Pacific islands. In many cases, the smaller European powers sought to do empire on the cheap by not governing the islands but encouraging the installation of puppet governments. Thus, the nation could merely secure resources and coaling stations for its naval fleet. In the case of the Samoan Islands in the late 1880s, the German Empire encouraged a civil war between several tribes in order to weaken the tribes’ hold on the island and secure German concessions. Recognizing the strategic importance of the islands, the British and Americans shipped military assistance to opponents of the tribes aligned with Germany. As the conflict escalated, each Western nation dispatched naval vessels to Samoa and the three nations confronted one another in Apia Harbor during 1889. Britain sought to remain a peaceful arbitrator while America and Germany faced each other with the threat of belligerent action. The need for negotiations or military action between the American and German vessels, though, was swept away by the March 15/16th Apia Cyclone. Unbeknownst to either side, a cyclone had been bearing down on Samoa as each side scowled at one another across the harbor. Samoans awoke on the morning of the 16th to discover both the American and the German squadrons beached, sunk or wrecked in the harbor. The loss of the naval squadrons effectively defused the situation and the dispute was resolved by the Tripartite Convention of 1889 by which Samoa was divided between America and Germany. Earlier this October, a court in Ghana ordered the Argentinian naval training vessel ARA Libertad to be held until the Argentinian government posts a $20 million bond to release the ship. The action ultimately stems from Argentina defaulting on its debt in the early 2000s. Argentina’s default wiped its balance sheet clean of billions in bond liabilities while leaving bondholders with bonds worth 30% of their face value. Because Argentinian courts will not force repayment of the bonds, some bondholders who are holding out for the full value of the bonds have turned to more novel methods of collecting on Argentina’s sovereign debts. One of the most time tested techniques for securing a judgment and payment on a debt is arresting the debtor’s assets when they are in a jurisdiction favorable to the bondholder. Thus, when Libertad arrived in Ghana, Elliott Capital Management sued for the vessel to be held until the Argentinian government pays the bond. While some would characterize the technique as nothing more than holding the ship hostage in exchange for a ransom, the bondholders merely seek to recoup the money the Argentinian government received from the sale of the bonds and promised to repay. Elliott Capital Management, a New York based hedge fund, manages money for large institutional investors which often includes the likes of pension funds for firemen in Peoria, teachers in Chicago or trash collectors in Milwaukee. The Argentinian government has protested Ghana’s actions with their usual populist rhetoric and decried Elliott Capital Management’s actions as “trickery” instead of accepting it as simply the rule of law. Elliott Capital Management and other bondholders have received more than 100 court judgments against the Argentinian government, none of which the Argentinians have honored. Yesterday the International Tribunal for the Law of the Sea ordered Ghana to release the Libertad. Because both Argentina and Ghana are signatories to the Law of the Sea Treaty, the International Tribunal’s decision is binding and Ghana must release the ship. The United States has thus far not signed the treaty and this incident is yet another example of why signing the treaty would be a serious mistake for the US and would impede US sovereignty.